I look forward to sharing my stories with you.Please browse through all my titles. I've written books for all ages. Books matter! Books open minds and hearts and allow one to dream and imagine. 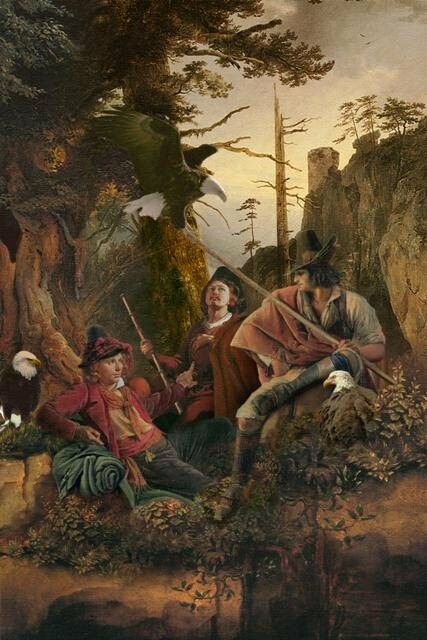 These books are not just any books; they are “children’s books as work of art,” creating balance between classic art, information and the beauty of stories that never grow old, dreams as unique as we are. This particular story is for all young people who long to make friends with the animals around us, especially the animals of the forest. Every century and every era is a special time to be young and alive, strong and full of energy. Every century also has its own challenges, as you will read about in these tales, called, Forest Friends and the Three-Headed Dragon and Forest Friends and the Three Dragons. These tales speak of a time, long, long ago, when amazing things happened that became legends known to everyone in the Kingdom of King Charles. Even our forest friends, who played such an important part in these tales, recall these legends. This book speaks of the deep love and understanding between humans and all animals, large and small, both domestic and in the forest. This spirit of love among humans and animals still pervades the wonderful woodland kingdom of King Charles. The author hopes this book will inspire your mind, touch your heart, and uplift your spirit as you learn about the power of love and good deeds. upon the heads of children, parents, forest friends, and the entire kingdom. Everyone admired the red glow of the sun’s rays glimmering on the surface of rivers and lakes, and down onto the lowland where log and stone houses huddled close together, and villages sparkled bright under the sun’s rays. No matter how burning hot the golden sun became, it could never penetrate the walls of King Charles’s castle. For one week, the whole kingdom had celebrated victory over the evil, green Dragon Drak, who was destroyed by the forest animals working with three brave boys named Michael, Alex and Kevin. Dragon Drak had three heads, and each one emitted fire as though from a soldering torch; jets of fire were Drak’s weapon. He was massive and powerful, able to cover long distances on wings so huge that when he flew, he blotted out the sun. Drak created windstorms wherever he landed, damaged trees and forest animals wherever he moved. The devastation he left, and his evil temper, made Drak a danger to anyone who approached him. Many attempts by princes, warriors and knights failed to conquer Drak, who had imprisoned three young girls in his cave. After the dragon had gorged himself one time, the forest friends - including ants, eagles, fish, fox, bear, wasps and many others - helped Michael, Alex and Kevin destroy the dragon. The brothers and their friends were able to destroy Drak simply by pressing on the right ear of his weaker middle head. Drak burst into many pieces and changed shape shifted into a condor. He flew away to his dark kingdom, leaving only fire and an evil smell behind him, an odor like a sweating skunk. Very few in the Kingdom realized that Drak possessed more than one life, and was not gone forever. The love, determination and friendship of all the animals and the boys finally conquered the dragon, at least for a while. One day the sun dropped behind the line of treetops on the far side of the castle where the three boys - Michael, Kevin and Alex – were staying. Life in the Kingdom of King Charles had seemingly returned to normal. Even the river bank, polluted with filth by the dragon, had become clean again, and children could play on the riverbank as they always had only King Charles missed his three daughters. Ant Ferda, Carni the deer and his family, together with many new and old friends helped bring back princesses Daisy, Lola and Kody, who vanished exactly one year prior to Dragon Drak’s invasion. Boys Michael, Kevin and Alex and their animal friends were ready to help King Charles bring back his treasures- his three girls and restore love and hope in the Kingdom again. After many tests, obstacles and adventures, boys met Fairy lady and hers dog Dean and cat Floppy, who invited them to her magical house with twelve doors, leading to the different realms, where boys and there’s friends met water nymph Vila Rusalka, King of Animals, Cerridwen and Wizard who lived in old ancient Oak tree, and whose blood dries up in the night like dry river. He was Lord of Dragons, who only could go among the dead in the dark land and return. 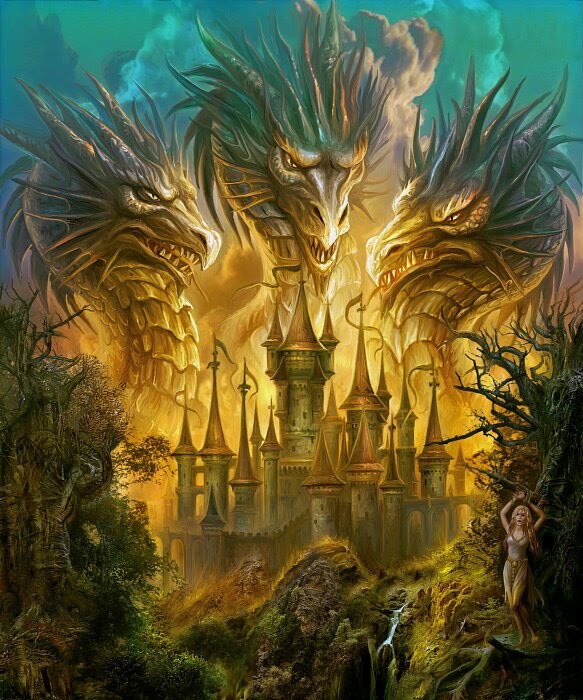 Dragon Drak (Earth) had two brothers, Dragon Desert and Dragon Sun who lived in different realms, and they were also friendly to the Mother Earth. The oldest Drak was destroyer of all nature, wherever he flew, and his dark Kingdom, filled with ugly, dangerous creature’s crushers, who were able to streak any second. Each brother kept one princess in theirs castles, but Drak was mean and danger to anybody, even his two brothers were afraid of him. After the big, like war, boys and animals with the help of Wizard conquered the bad Dragon Drak who ruined nature and creation, because Drak had not lived or acted according the Dragons’ Law. The period of darkness and shadow was gone and smile and happiness had come to the Charles Kingdom. Princesses Kody, Lola and Daisy joined each other company again with his father King and his entire Kingdom. The whole Kingdom celebrated the reunion, where sun, happiness and love came back, stronger than never before, and this blessed period has lasted into on own time. Transformation and Healing by Ayahuasca Spirit in the Amazonian Rainforest is a chronicle of the author’s journeys deep in the rainforests of Peru and Brazil. Hlobil was seeking peace, knowledge, and oneness with the forces that course through the universe. He feels an affinity with the jungle and a strong spirit in it as he experiences life on the Amazon River and gets to know the aboriginal culture, which has long appreciated the powers of nature’s healing plants and herbs. He practices a Shamanic way of living, where awareness is essentially an activity of the Ayahuasca Spirit, associated with willingness to experience and letting go. The book is not only an insightful description of the author’s quest for self-discovery, but also a fascinating look at an exotic way of life. It is easy to read, very practical, and educational, filled with magic and unconditional love of the rainforest spirit, which can heal faster than any prescription drug or surgery. This image was taken in Buchlov Castle, Czech Republic. 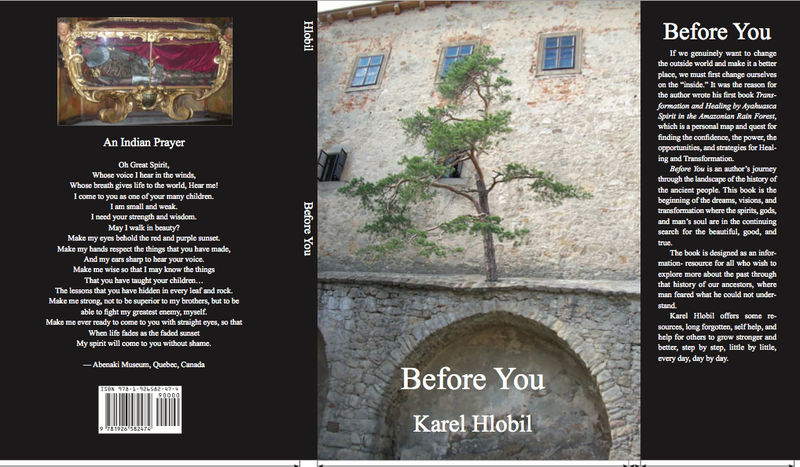 The book with proving pictures, beckon the reader, journey from Toronto to Siberia. It is guide to an enlightening and pleasurable quest through most ancient and most contemporary world of the magical land, from past to the present. The people of prehistoric times and primitive cultures have laid the groundwork for modern consciousness exploration. Our knowledge of these groups comes from archaeological or anthropological observations. 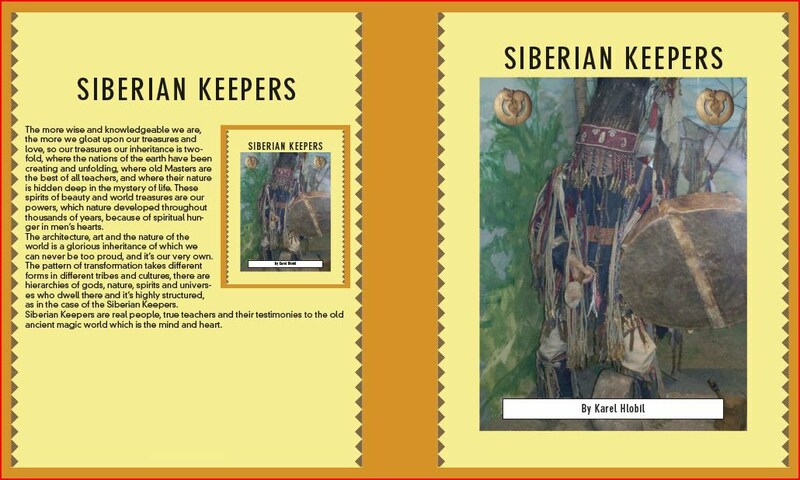 The pattern of transformation takes different form in different tribes and cultures, theirs hierarchies of gods, nature, spirits and universe who dwell there and it’s highly structured, as in the case of Siberian Keepers. Siberian Keepers presents a real people, true teachers and their testimonies to the old ancient magic world, which is the mind and heart. In the beginning, there were burials and beliefs about the afterlife. There were also sacred spaces with memories of the past, flowing to the present time, and connect with the future. The practice of Old religion-Shamanism is an essential part of Siberian, Mongolian and Tibetan cultures, in their many languages. The word for spirit is also the word for breath, and where Elder Shamans are respected as conveyors of traditional knowledge, and as powerful individuals possessing vision for the future, as well as knowledge of the past. Shamanic cultures over the world have always used divination in highly practical ways to determine how to prevent or cure illness, for example, or to see which way the hunters should set out in order to avoid enemies and find food. These were life and death skills for villages and small tribes, where shamans of these tribes therefore became adept at using divination to ensure the survival of the communities they served. Spiritual traditions of the Siberian-Tuvan, Mongolian, Tibetan and Reindeer People are powerfully defined by shamanist beliefs, which serve as a source of strength for individuals or community. Each shaman has distinct abilities and characteristic and making their spiritual traditions among the oldest and most enduring in the world. More wise and knowledgeable we are, the more we gloat upon our treasures and love, so our treasures our inheritance is two-fold, where the nations of the earth have been creating and unfolding, where old Masters are the best of all teachers, and were their nature is hidden deep in the mystery of life. These spirits of beauty and world treasures are our powers, which nature developed throughout of thousand years, because of spiritual hunger in men’s heart. The architecture, art and the nature of the world is a glorious inheritance of which we can never be too proud, and it’s our very own. Be prepared for a long journey into the unknown land and kingdom of Earth’s last unclaimed land, the Land of the Rising Sun and the Land of the Setting Sun, where history keeps repeating itself as in these stories. 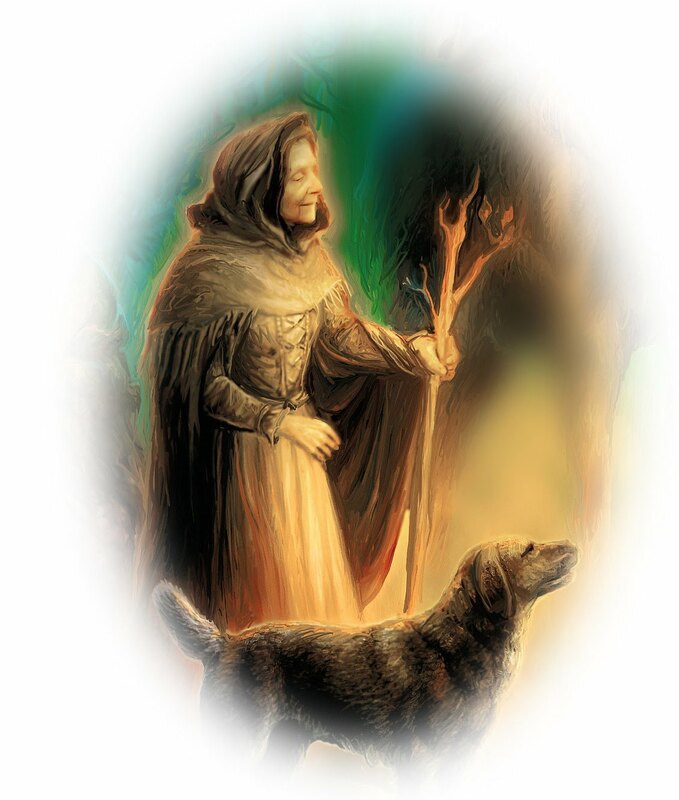 You may meet Angels or “mythic” creatures here, also faeries, elves, gnomes, Dragons, Hasterman-taterman, Lord of Animals, Cerridwen, the Earth and Underworld Goddess – the good and bad, positive and negative, just like in our world today. You will also see and sense the land of new riches, new beauty, new opportunities, where the joy of life and peace trembles in each opening flower; where songs of the whispering breeze and gurgling brooks have magic power, all riches and beauty cupped together under a laughing, magical blue sky. This is a time of wonder, curiosity, danger and love. Where there is love there is usually a good ending, and where there is good ending there is also a new beginning. I hope you will learn to align yourself with the powers of nature, appreciate the present moment, and perceive life as an exciting adventure, where the Mind receives and creates, Force (energy) performs and Matter appears. Every boy here is a prince and every girl is a princess, God is King, and all of us are His/ Her sons and daughters. We’re all children of God, so we’re all princes and princesses. 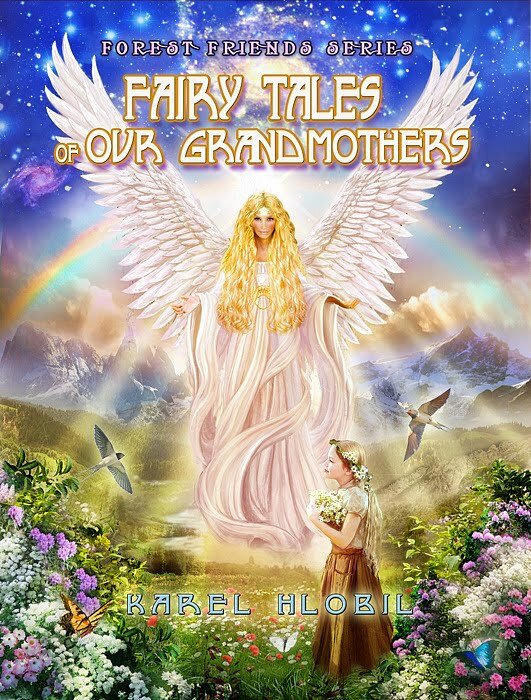 Fairy Tales of Our Grandmothers is ideal for those still seeking to discover their role in the world, for those who enjoy nature and the beauty of the Earth and sky, and for those who are open to exploring and meeting challenges with new friends—Forest Friends. In these pages I invite you to come along with three young princesses who, one cloudy afternoon, disappear from their garden and find themselves among all manner of friends – and foes. Lured into the wild forest around their palace by nursemaid Joana, Princesses Elene, Slava, and Anat are suddenly on their own. Abandoned in the middle of the forest, where night becomes blacker than any darkness you can imagine, and is finally impenetrable, the girls have no choice but to stop and rest. Unknown to them, while they sleep, three Fates approach them, forecasting the destiny of each. As predicted, all three girls are sent to one of three distinct realms. Slava is given life in the Setting Sun-Lowerworld; Anat in the Rising Sun-Middleworld, and Elene in the Sitting Sun-Upperworld. And in each of these worlds, the girls are destined to experience a uniquely necessary dynamic of life, in which love has its own particular identity. In their journeys, they also happen upon various ancestors, make new friends, and help many others. When Elene, the eldest, opens her eyes in the Sitting-Sun realm, she finds herself surrounded by deities of other cultures, mythic creatures, and Guardian Angels, many of whom offer divine assistance. Pervading all, the very Source of Life introduces Elene to different planetary energies. She then rises out of this time, enters the orbit of lunar consciousness, and experiences the attraction of the energies that create life --vital life force. Meanwhile, Slava, the middle girl, finds herself standing in the foothills of a mountain range, a place of extreme danger but also a place of learning. Here she’s told about the squabbles of Wolf Derek and Red Fox Grandmother. Coming to rest by a mountain stream, Slava encounters Veles, Lord of the Lowerworld, and her life takes an unusual turn – aboard a magic carpet! Anat, the third girl, follows a young boy and, after a while, feels her body becoming like the constantly flowing water of the Middleworld. At the same time, she feels like the stars, tossed randomly across the sky. This is a realm of mythic creatures, animal allies, and even regular people. Anat meets Wizard Rupert, Hasterman-taterman, who is master of the rivers, three goofy golems, and the frog Lily, who helps in her adventures. It’s a gorgeous day in summer when the sisters are at last reunited. In their many years apart, they’d found their own ancestors, along with many other wise ones. The legacy of these helpers is an understanding beyond words, including knowledge of the past, the present, and the future. Finally, everything ends awash in love, especially when the girls meet each other and then their parents, who had missed them so terribly. The Fates must have seen this outcome, for where there is love, there is usually a good ending, and where there is a good ending, there is sure to be a good beginning, as you will find in these stories. As you read this book, you will find yourself entering into a new and strange world. This book takes an interesting look at the relationship between “Forest Friends,” nature, and transformation, and could be classified in any number of older categories. The tales within inspire with their universal appeal. Almost any older age reader will find the book intelligent, but it is not for everybody. This is a delightful read that will lift your consciousness. Karel Hlobil will take you on a journey by telling you the traditional story of three young princesses, three brothers, and of course, Forest Friends. This book’s material expands an individual's understanding of the world in which they live and provides an aesthetic experience, stimulates the imagination, and increases an individual's potential creativity. This four-book series is a collection of beautifully created short stories that are full of heart, wisdom, adventure, and valuable life lessons always with good, positive endings. No matter if you're old or young; you will undoubtedly enjoy the Earth-based spirituality garnered by the Forest Friends and nature. The stories will take you on journeys to the nature of desire, the secret of friends, how inner and outer light are reflections of each other, the importance of play, and other amazing lessons that will awaken and delight your spirit. The illustrations will also help to illuminate your spirit while impeccably adding to the nature of the stories. This book is about getting to the heart of each and every one of you through the path of positive experiences that are intensely transformative. Originally written as a children's book, The Three Brothers is really a deeply spiritual book. Your older children will be dazzled by the imaginary creatures and fantasylands, while you will discover deep spiritual messages and awe-inspiring symbolism that is prevalent in every single chapter. In the broad scope of the spiritual life, we see faith not as something you have but as something you are in—a relationship. It involves an awareness of and atonement to God's presence in our everyday experiences. God is here, the lead dancer, and the soul is the partner completely attuned to the rhythm and patterns, and you are here as the observer individual, unique individual—always special. Michael breathed in the air blowing between the forest trees and mountains where the cave entrance lay. He tried to think of a way to escape this strange place. His look remained fastened on the endless ribbon of the stream, with the fields rolling out beside it as far as his eyes could see. He was trying to see if he could spot anything from his familiar world, anything he could recognize. It was night. The moon was spilling out of the heavens in cascading waterfalls of light. A misty fern curled up for the night and two dream owls hovered overhead, their silvery reflection in the stream below seen only by the stars. 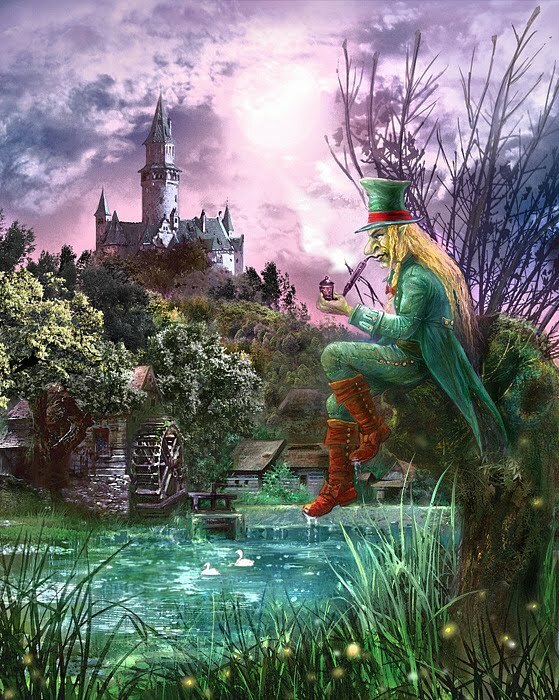 A quiet magic hung in the air and enchanted the meadow filled with fauns and fairies made this place even more magical. Michael listened to the sound of the night and smelled the air deeply and gazed at his surroundings. His thin cotton summer dress rippled in the warm wind as he lay mesmerized. The stream had moonlight secrets hidden in its lowest points. Its surface was like satin, and glass-clear water showed his reflection. A mist was forming over its surface and grew and swirled as if it had life of its own. The mist reached out over the entire place. The soft sound of the forest breeze lulled him into a calm place. The faint perfumes of the wildflowers around him was strong, and the rich turpentine smell of evergreens in the air wafted to his sensitive nose. As he approached the place between cave and stream, he saw thousands of crystals lying on the sand, their luminescent beauty reflected by the light of the full moon. Each crystal seemed to have its own inner glow that was so magical and mysterious. Michael placed seven crystal stones into his pocket and heard a deep sound. The four stones represented four directions; the three stones represented the past, the present, and the future. Touching the crystal activated a resonance with him. The ground began to shake beneath his feet. The mountain was moving and valleys were forming, being pushed up into jagged edges reaching for the sky. The cave opened its dark entrance like an open mouth, luring Michael inside. When he passed the cave’s opening, he felt like he had crossed into another plane of existence. The cave was home to deep crevices in the ground. From these cracks came plumes of smoke followed by leaping flames. When he passed the Element of Fire, the deep cave water lapped gently against his feet. He felt the lunar pull coming to him through the water. The Water Element was strong. He quickly slipped through the water, experiencing the subdued power of the mountain water, where he was able to hear a tumbling stream that splashed through the mountain toward the river. He felt a tremendous surge of power as he slid down a great waterfall. He felt the intelligence of life-forms that lived in this deep water. The waterfall flung mist into the humid cave. The Element of Air played all around Michael, whistling in his ears and gently stirring the nearby tree branches. He felt the power of healing: physical, mental, emotional, and spiritual. He drifted down until he touched and merged with the Element of Earth. From there he sank deep into the rich soil of the outside floor, and he saw roots of plant life and many forms of insects—all life that inhabited the darkness of the soil. He felt the hidden richness of life in every form of soil around the Earth. He felt the heartbeat of the planet. An absolute calm filled his heart as he began to understand the balance and perfection of the universe through the elements. When people ask me what this book is about, my first response is to tell them that it is about a few different things at once. 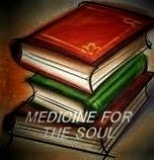 First and foremost, it is a book about alternative medicine, ancient healing and curing. It is a book about making your goals a reality as well as how you can be of service to others. It is a journey through history and healing practices throughout the ages. Perhaps most of all, it is a book about the human mind and heart. 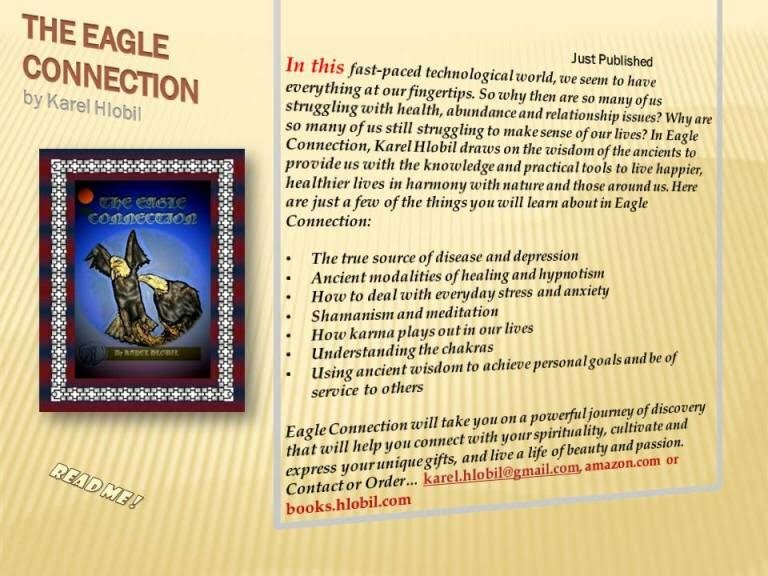 In it, I share my personal experiences and inspirational stories from people who’ve touched my life, as well as some of the old teachings about divination and the power of the Soul, Spirit and God. While researching the material for this book I asked people, “What do you want?” and “What are you looking for?” Their answers fell all along the spectrum, but they could be boiled down to a few simple truths, namely, they want health, a long life, love, money, miracles, success, security, power and they want to belong to communities that help them feel important. They want a purpose. Having a purpose in life is all about reaching your own goals and helping others reach theirs. Some people take the most logical path, and some are struggling, like lost animals in a vast desert. Life in this desert is painful at times; there is no exact map or formula to get to where we want to be. However, we can learn and grow from the pain, and we can learn to enjoy the unfolding mystery of the road less travelled. Our world exists in both directions – it stretches into the past and reaches out to a future that’s always full of surprises. There is wisdom in the ancient model, but it is not always easy to use it in the modern world. While our soul knows the geography of our destiny, everything on our external path- our personality, our rhythm, our behavior, our senses, and our traditions – changes over time. The trick is to learn how to navigate these changes. Here I have tried to create a map that bridges the old way and the new, a rebirth of ancient wisdom and a practice for our modern times. It is a map marked with techniques and inspiration to find a rewarding purpose. This book was born not of reading articles and intellectualizing, but from the work I have done in my own life. Like any ritual, the creation of this book was a transformational experience, and reading it can be as well. Each day is a journey, and the path to success is filled with failures. I know, because I have experienced failure many times, but I have learned to view these failures as valuable lessons on how to get back on the wheel of balance, knowledge and power. I am still learning, and like everyone else, will continue to do so for the rest of my life. No matter how much we know – or think we know – there is always more to learn. We are forever searching and exploring our possibilities and our limitations, all within the context of our personal landscape. Throughout our lives we have walked through many, ever-changing landscapes. These landscapes are sometimes serene; sometimes they’re wild and dangerous. We are part of the ancient landscape, we are an eternal essence; this is the reason we are here. The process of self -discovery is not easy; we need to change the language of our own soul, create a new lens through which to view our inner landscape. The mystery of this landscape is mirrored in all the stories, legends, ideas and places of this life, as well as our past lives. Life is considered to be a journey of many stages, not just one. By whatever route people come, they tend to share common feeling of having arrived “home,” a remembering of something ancient that is buried deep within their psyche. Oftentimes we find ourselves in the vast desert of our own minds, alone, lost, without the energy to continue our positive thinking or creating our prosperous future. No matter how hard we try we are not happy. We feel like some desert animal, digging burrows to protect itself from the sand-filled winds. Eventually we realize that it’s not working, and we decide to simply give up. We become unwilling to spend one more minute engaged in this futile struggle; we give up living in frustration and hopelessness. This is a critical moment, for it is a kind of death of our old identity. The words “I would rather die than keep trying” tend to pull us outside of ourselves. In order to create the new world, we must be willing to move out of the old. The worst thing we can do in this situation is panic. Panic blinds a person’s reason and leads them to make negative decisions. Controlling panic is a matter of focusing the mind and operating in an organized manner. The desert is among the harshest places on earth, with its extreme temperatures and miles of vast sand. The desert is full of adverse conditions that animals and plants must adapt to in order to fulfill their basic needs. There is much we can learn from coyotes, rattlesnakes and scorpions, for they know the desert well. They know how to survive in extreme conditions, from the freezing cold to the stifling heat. These creatures could teach us much about how to navigate the desert of our own minds and make it a place in which we can gain knowledge. We can learn a new philosophy, whereby we do not fight the desert but become part of its ecosystem. It is important to remember that when we get lost in the desert, even if we are disappointed or depressed, our soul sees another reality or opportunity, a second chance of survival. Like an animals in the desert, the soul feeds on whatever life grows in its immediate environment. It is basic; it is a primordial urge. We need to find “over there” - who we are and what kind of journey we are on. A physical journey can be many kilometers deep and high, but a journey of the soul is endless, as endless as the mysteries of the spiritual worlds that dwell within us. When starting on this journey we need to be aware of our landscape; we need to know where we are now and where we want to be. This is how we make sure we get to our destination, even when we feel lost in the endless sand. Sometimes it is wise to wait for the next day, because each day is different and in and of itself a new journey. A new day (light, mother of life) brings new opportunities and new ideas. We are clearer in our thinking, our learning and our ways of doing things. Again, we should learn from the animals and wait for the better time, the one sunny day when we can get out from beneath the sand. Walking and thinking in the desert is hard from the beginning, because we have to know its laws. We need to learn about the desert first, about the condition we are in right now. This condition can be tricky and complicated, like a human mind, but it also offers us the opportunity to grow stronger. The more we know about these opportunities, the more we can help ourselves, and one day, help others. Everything we need for our desert journey has already been given to us. We only need to know the direction, because a place is not simply location, but a place of profound individuality. Once we realize this, we will see that even the desert landscape changes every few miles, offering new pictures that surprise the eyes and delight the imagination. To live in the desert is to enjoy a private sky, where life is framed by the horizon. When we really gaze at that horizon we are bringing it first closer to us, then inside us, and all of a sudden the whole landscape changes. Each desert field has a different name and a secret and silent memory of the past and present. It is a place where nothing is lost or forgotten. This does not mean your wounds disappear; they must still be treated. Paying attention to your problems is a first step. When we are aware of our feelings and emotions, we are in continual communication with our soul. The soul wants what is good for us, our soul desires to heal, and when we listen to it, it will guide us to the truth. 343 pages printed black only on 50# Husky Offset Text Stock. Cover is printed 4/0 (Full Colour on one side only) on Carolina 10pt C1S Cover Stock. 2011 Karel Hlobil All Rights Reserved I hope you enjoy your stay. Ocean shipping to worldwide with 4-6 weeks, Air shipping to any city 7-10 days.